Florida State basketball was rewarded with a No. 4 seed in the NCAA Tournament on Sunday afternoon, much to the surprise of fans who were expecting a higher draw. Florida State had a better resume than at least two teams that received better seeds, and even won the head-to-head with a few of them. Still, a 4-seed is nothing for FSU to hang its head about, and the Seminoles are a trendy to pick to advance far in the tournament. What has Florida State done to get this far? How exactly have the Seminoles compiled a 27-7 overall record and why did they make it all the way to the ACC Championship? We give a quick rundown of what Florida State looks like as they prepare to take on No. 13 seed Vermont in the first round of the tournament. Stay tuned to The Daily Nole as we break down the upcoming game and Florida State’s prospects. Backcourt Options – Florida State has every spot covered at guard. A rotation of Terance Mann, David Nichols, Trent Forrest, M.J. Walker, and Devin Vassell means that the Seminoles can run any style offense that they want. It also means that there is hardly a defense in the country that is built to stop them. If Virginia couldn’t consistently do it, probably no one else can. Remember that last year’s Elite Eight run was fueled by a similar backcourt. Even talented and established teams like Gonzaga and Xavier did not have the depth to handle a Florida State team hitting its stride. If the ACC Tournament results are any indication, Florida State is about to hit that stride once more. Stretching the Floor – Phil Cofer being healthy, Mfiondu Kabengele growing into an All-ACC type player, and RaiQuan Gray gaining confidence is a perfect storm for the FSU frontcourt. All of those players have the ability to hit mid-range shots and force the inside of a defense to follow them out. That, in turn, helps the crux of FSU’s attack at the top of the key, and makes the offense nearly impossible to defend against. 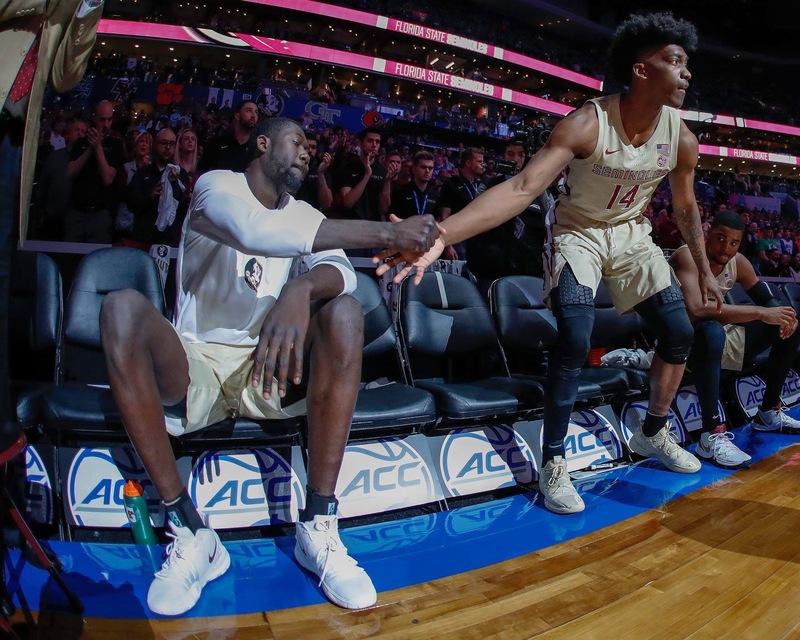 Reliable Scoring Inside – In addition to those who help stretch the floor, Florida State is getting a noticeable uptick in production from senior center Christ Koumadje. His scoring is almost completely around the rim, but consider that he averaged over eight points per game in the past 10 ACC contests. That’s not insignificant. When you combine that with Cofer (7.6) and Kabengele (11.1), Florida State is getting a consistent 27 points per game from its primary frontcourt options. That number isn’t impressive, but it is more reliable production than the Seminoles have typically received throughout their tournament runs. 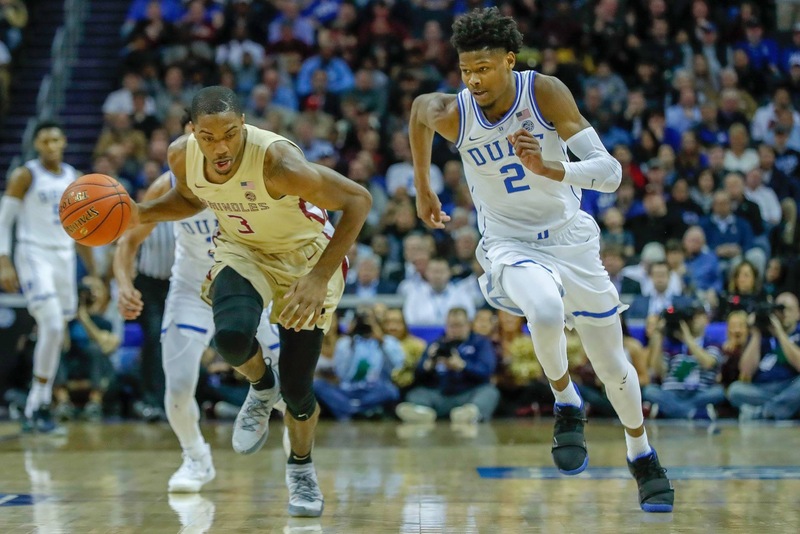 Second-Chance Opportunities – A combination of larger-than-usual guards and experienced frontcourt options means that the Seminoles get second-chance opportunities at a higher rate than most. Their offensive rebounding percentage is over 32 percent, which places them in the top 30 nationally. 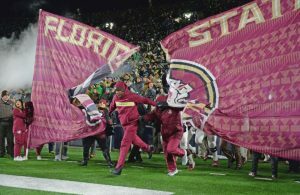 Sloppy Turnovers – Florida State ranks 225th on turnovers per possession nationally. That isn’t as harmful for teams like the Seminoles, since they play a style of offense that is naturally going to turn it over more. But even with that in mind, Florida State does have a penchant for coughing it up more than it should. Late in the game against Virginia was the perfect example. In a 4-on-1 fast break that could have iced the contest, somehow Florida State ended up throwing the ball out of bounds and giving the Cavaliers more life. Those types of plays have been too common throughout the season to not mark it as a negative. Bad 3-Point Luck Charm – P.J. Savoy has not lived up to his potential as the team’s sniper from behind the arc. He is shooting just over 32 percent on the year — way down from 37 percent last season, and even further away from the 40 percent mark he recorded in his sophomore year. That wouldn’t be as worrisome if FSU’s other long-range options were living up to their billing: Guys like M.J. Walker, who showed a lot of promise as a freshman, or David Nichols, who transferred in to FSU off a 36 percent shooting mark at Albany. As it stands, Walker has not progressed and Nichols took a step back. They are both good players, but neither are relied upon for deep shooting. In fact, arguably the best options are true freshman Devin Vassell and previously skittish Terance Mann. The latter finally found confidence in his shooting and can hit those types of shots with fair consistency. The former seems even more confident, but it is always testy to rely on someone so young to provide that asset. 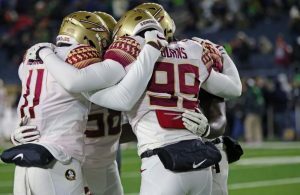 Causing Turnovers – The Seminoles aren’t especially elite at forcing opponents to cough up the ball. But they still do well in block percentage (36th) and steals per possession (79th). That is enough to give the fast-paced offense a boost — and it is surprising that the two categories are not switched. That is the benefit of someone like Kabengele progressing and Koumadje being more refined, as well as the guards fully utilizing their physical abilities. Physical Mismatches – This has been the case for years, and it is once again evident after this season. Terance Mann, Trent Forrest, M.J. Walker, and others in the backcourt are more physically imposing than a lot of guards in college basketball. There’s no true statistic that can point to what they do well: running the system and denying the inside to ball handlers. Teams simply do not drive on the middle of the FSU defense. Foul Trouble – Guess what? Florida State’s list of defensive weaknesses is very small. Even things it formerly struggled with (3-point defense) have more or less gone away during the 2018-19 season. 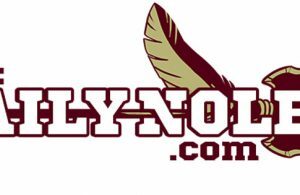 Ken Pomeroy ratings have the Seminoles as a top-10 defense nationally. The only thing that could bite them down the road is personal fouls. Florida State commits over 19 personal fouls per game, which ranks 277th in the country. The potential effects of that are not distributed evenly however; if someone like Kabengele gets into foul trouble, the entire dynamic changes. The Seminoles will need to play clean games throughout the tournament and hope that the referees aren’t itching for airtime.